Subtitled 'A Study Of Mystery Initiations In The Graeco-Roman World'. 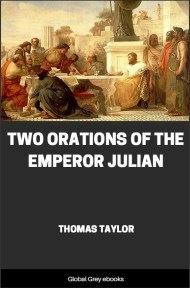 Using classical historical methodology, Willoughy writes a profound exposé of the ancient religions of Roman and Greece. In doing so he relies heavily on a wide variety of ancient primary sources. 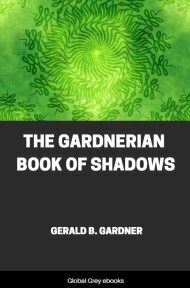 His work thus reveals what can be known of the mysteries and secret rites of these ancient religions. THERE is a vague but widespread impression that the age that saw the emergence of Christianity was religiously destitute and morally decadent. 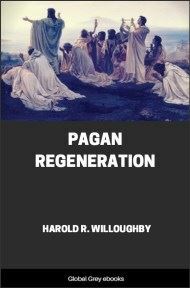 The general and orthodox conviction of today is that all pagan religions current in the first century A.D. were in a bad state of degeneration. 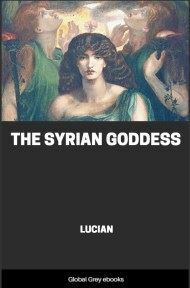 Originally they may have started with a modicum of light and revelation from above, but that original good had been corrupted by false beliefs and evil practices to such an extent that in the first century the gentile world was in a worse state than it had ever been before. People of all classes, wearied of the apparent futility of contemporary cults, were quitting them wholesale, or were giving them a merely formal adherence. In an abandon of atheism they were surrending themselves to unrestrained indulgence in immoral practices. Approximately this is still the popular impression of religious conditions in the Graeco-Roman world. 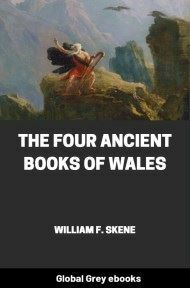 This misconception, so far as it has any basis at all in ancient sources of information, results from a piecing together of notions derived from certain readily accessible writings, pagan and Christian. 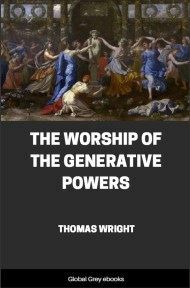 On the one hand, philosophical writings in Greek and Latin record the rationalist criticism to which the polytheistic systems of the Gentiles were subjected. Furthermore, the Roman satirists of the early imperial period, superlatively skilful in the practice of their art, painted the immoralities of the upper classes in Roman society in colors that could not be forgotten. On the other hand, the later Christian apologists delighted to represent their pagan competitors in as unfavorable a light as possible. They pilloried the faults and failures of gentile religions and sought to establish the point that the inadequacies of paganism were a part of the providential preparation of the world for the outburst of true revelation in Christianity itself. This admittedly apologetic position, familiar alike in ancient and modern times, was given its classic statement in the Praeparatio Evangelica composed early in the fourth century A.D. by Eusebius of Caesarea. Concerning the literary sources involved it is sufficient to observe, first of all, that the Greek and Roman authors cited represent the attitudes and customs of limited classes in contemporary society: the skepticism of the intellectuals and the excesses of the nouveaux riches. As to the Christian sources, they betray a frank bias both in the selection of discreditable data and in the utilization of that data to serve a polemic purpose. Because of this misuse of inadequate materials the point of view which posits a dearth of real religion in the Graeco-Roman world is itself clearly discredited. Completely contradictory to such an estimate was the judgment of the earliest Christians concerning rival religious movements. They, who knew competition with gentile cults as a matter of vivid present experience, did not question the strength or reality of gentile loyalties to heathen systems. Not because Gentiles were irreligious but because they were so incurably and tenaciously religious, Christian propagandists actually made little headway with them at first. In face of this discouraging situation the missionaries explained their early failures as due to the infatuated devotion of Gentiles to gods who were really demons. The earliest historian of Christianity, writing at the end of the first century, represented Paul, the outstanding missionary to the Gentiles, as saying to a typical pagan audience, "Men of Athens, from every point of view I see that you are extremely religious." During the last quarter-century the detailed researches of specialists in the field of Graeco-Roman religions have fully confirmed this ancient appreciation of pagan piety. The propagandist vigor of diaspora Judaism in seeking for proselytes from among the heathen was fully understood before the beginning of our century; but recently discovered non-literary papyri and similar unpretentious remains have revealed a not less vigorous gentile propaganda carried on by members of voluntary religious associations. That the princeps of the Roman Empire was responsible for an official revival of antique Roman religion was well known to earlier generations than our own; but only recently have students been aroused to a realization that the developing imperial cult, focused on the person of the princeps, was an expression of genuinely religious hopes and appreciations and interests on the part of the people of the empire. That Graeco-Roman philosophy came to a religious climax in Neo-Platonism has long been a matter of common knowledge; but only in our generation have serious scholars given sympathetic attention to the mystical literatures of similar systems previous to Plotinus. The net result of all this fresh investigation in new fields has been to prove that the Mediterranean world in which early Christianity emerged was indeed "extremely religious." It is perhaps not exaggeration to affirm of the first century A.D., as Francis Legge does of the six centuries from Alexander to Constantine, "there has probably been no time in the history of mankind when all classes were more given up to thoughts of religion, or when they strained more fervently after high ethical ideals" than at just this period. To this extent do the actual records of gentile religious experience in the first century belie the traditional estimate of the age.